The National Building Museum's new exhibit, House & Home, takes viewers on a tour that looks at American homes both architecturally, and in terms of interior design, in the past and the present. 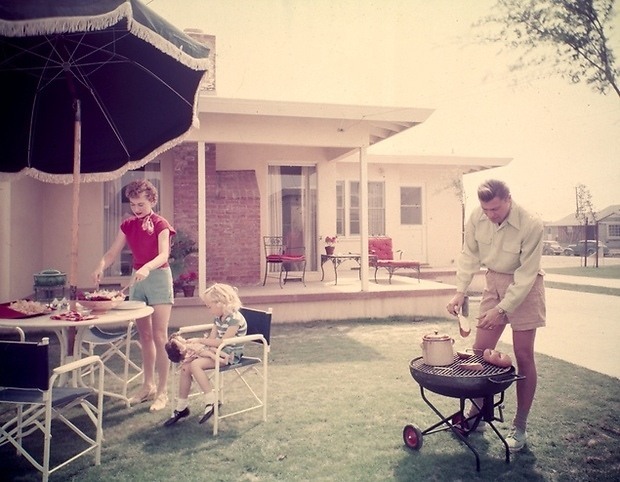 American domestic life has blossomed with changes in technology, and culture. The resulting transformation is remarkably demonstrated by a series of photographs, objects, models and films that manifest the full spectrum of changes. The exhibit is broken down into six integral parts. 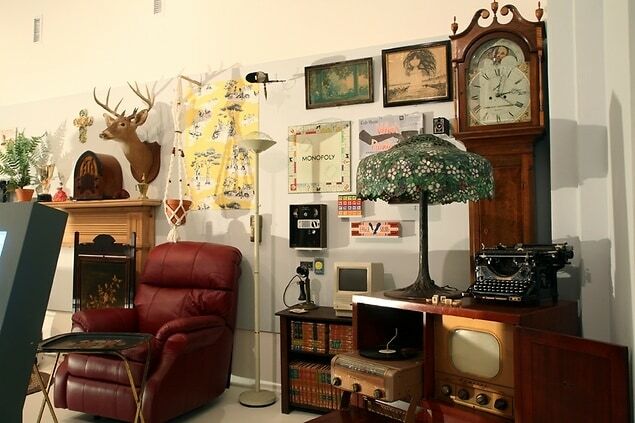 The first segment, Living at Home, displays household goods used over the past several centuries. Next, the em>Building a Housesegment utilizes full-scale "please touch" walls made with a variety of residential construction materials, giving viewers a genuine feel for different structural building methods over the years. The exhibit continues by venturing into the history of Buying a Home. The timeline conveys rules and regulations that homeowners coped with, and explores the origins of the modern mortgage system. The museum also presents us with a series of 14 scale Models of iconic American homes complete with complementary photographs. The models, which are located at the center of the gallery, show specific recognizable structures that were used as the basis for many modest homes. A series of films document the everyday tasks of homeowners, including laundry, cooking, cleaning, and other timeless chores. Visitors can also get a better understanding of different types of communities, by watching a cluster of interviews with developers, contractors, real-estate agents, and even residents themselves. The final segment of the exhibit provides education programs for people of all ages to fully immerse themselves in House & Home. This includes youth courses, workshops, and even professional level conferences.